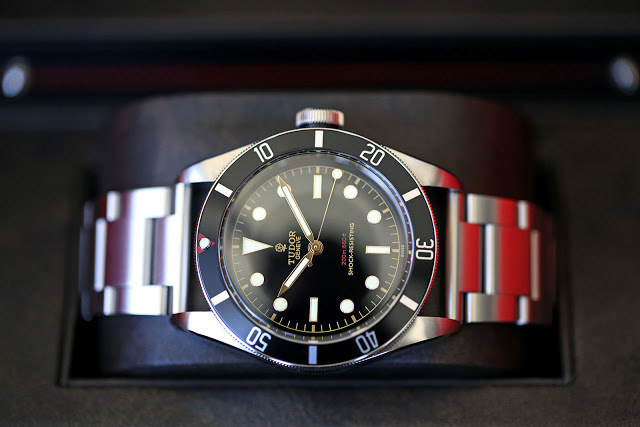 The first and only unique timepiece Tudor has ever made, the Heritage Black Bay One for Only Watch 2015 is a one-off creation for charity auction Only Watch 2015. 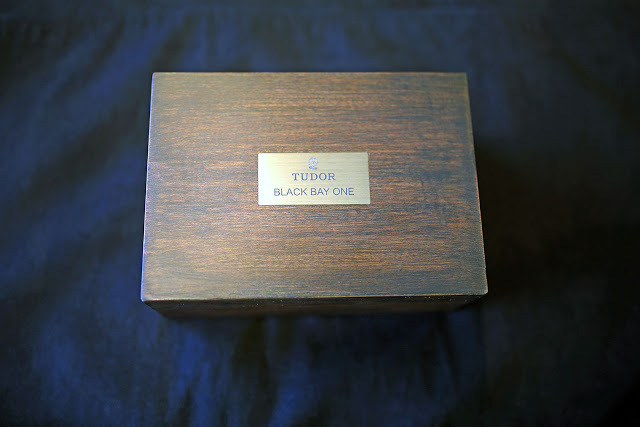 Here's it is in the metal, courtesy of our friends at Tudor. 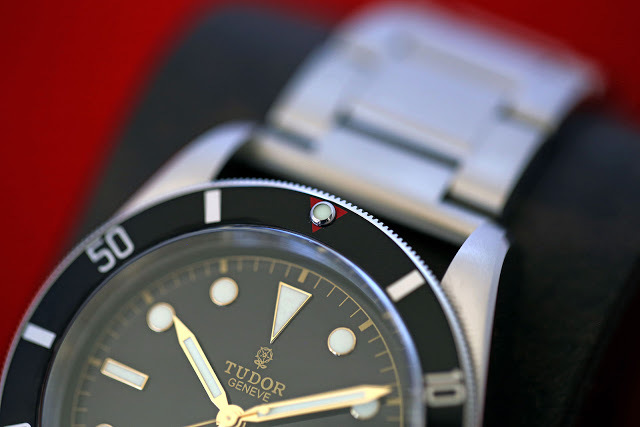 Only Watch is a charity auction that takes place in November 2015, and for the first time Tudor is taking part. 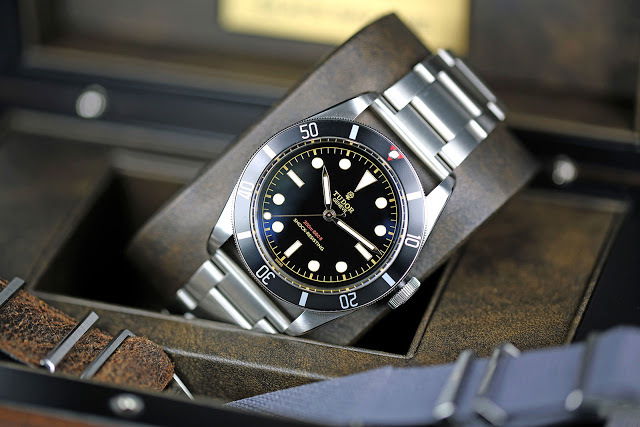 Its contribution is a one of a kind dive watch, Heritage Black Bay One ref. 7923/001. 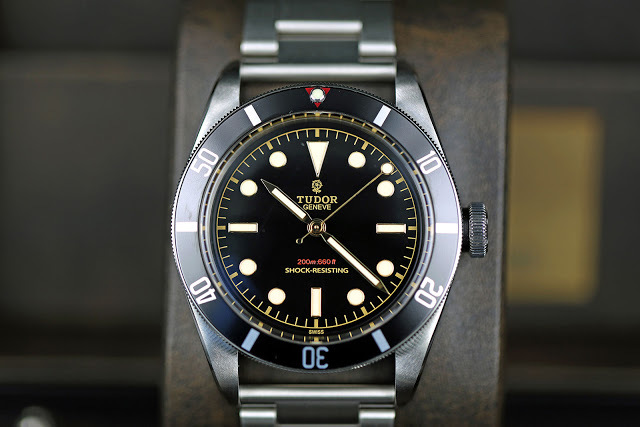 Based on Tudor’s historically inspired dive watch, the Heritage Black Bay One has been tweaked to make it look even more vintage, with the look modelled on the rare Submariner ref. 7923 of 1954. 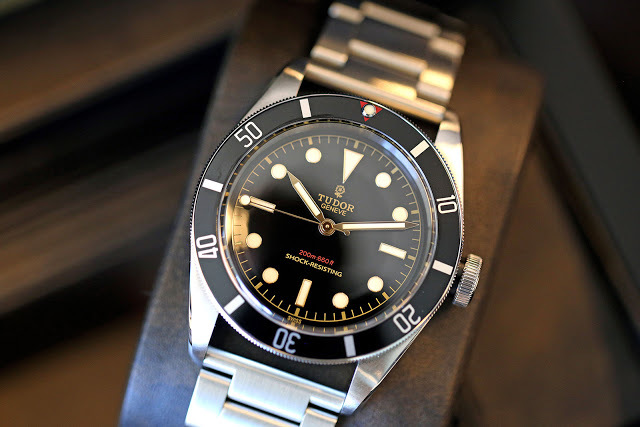 Thanks to these fresh photos of the actual timepiece from Tudor, we get a sense of what the Black Bay One actually looks like. 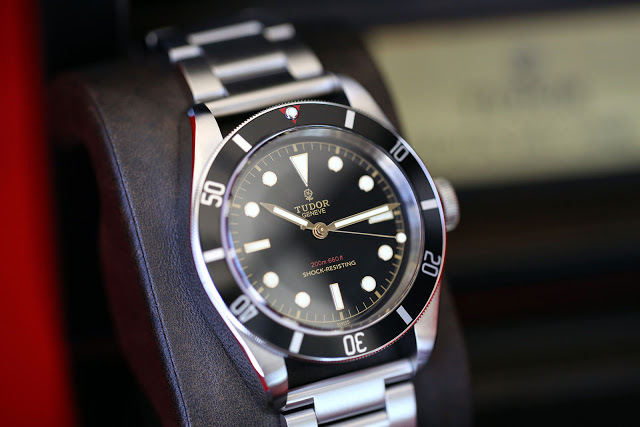 Not an exact remake of a vintage watch, the Black Bay One is instead a blend of elements from the past. The dial is a gilt, with a glossy surface and the lettering as well as minute track in gold. 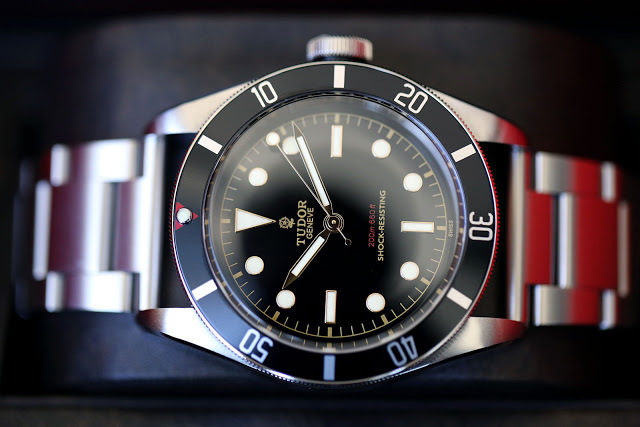 “200m-660ft” is in red, something not found on the vintage Tudor Submariner, but reminiscent of Rolex dive watches like the Red Sub or Double Red Sea-Dweller. 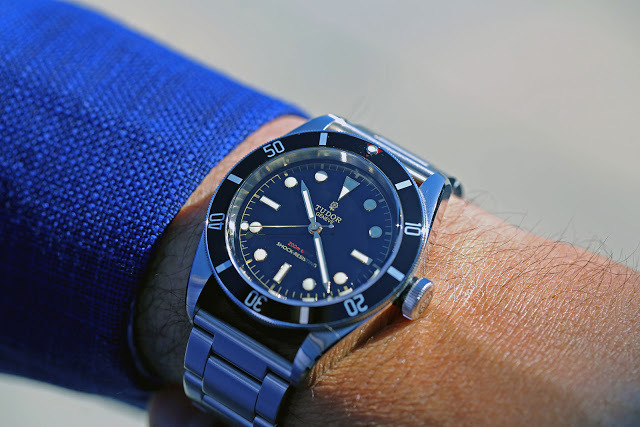 Several features set this apart from the ordinary Black Bay, like the hands for starters. The hour and minute hands are pencil-shaped, while the seconds hand is tipped with a circle, hence the nickname “lollipop”. 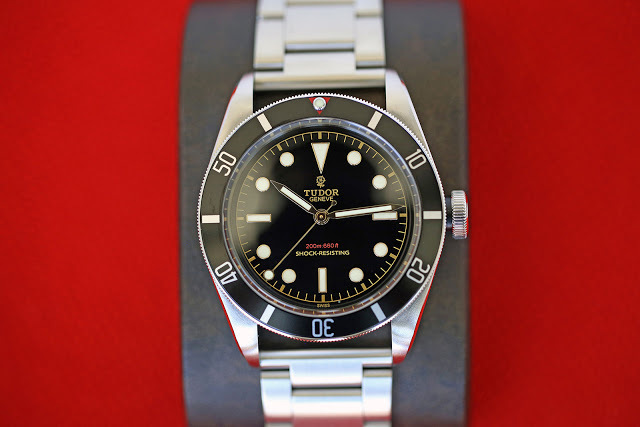 In contrast the regular production Black Bay has a “snowflake” hands. 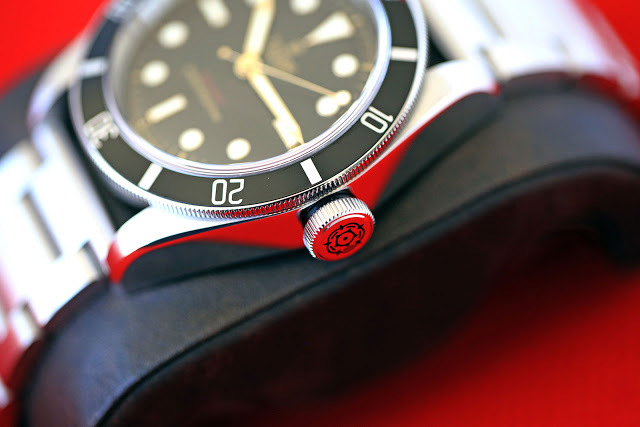 Another unique feature is the bezel that has five-minute markings and a red marker at 12 o’clock, lacking the 15-minute marking on the regular production Black Bay. And then there’s the bracelet, which has a straight end. 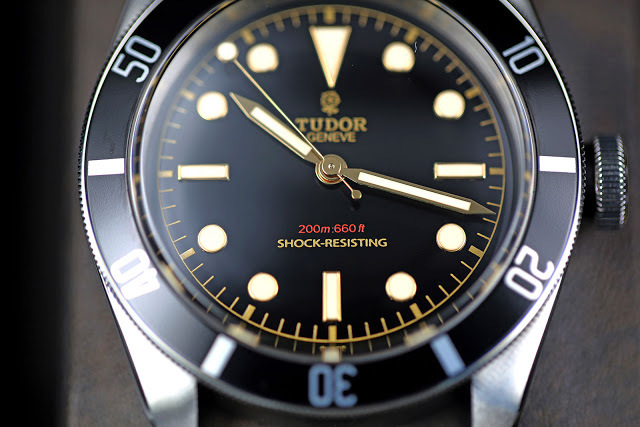 This feature is also found on the Heritage Ranger, while most other Tudor watches have fitted end links. 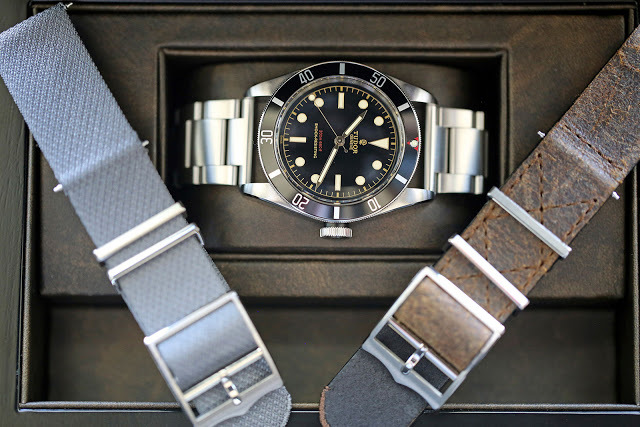 Like other Tudor Heritage watches, the Black Bay One is accompanied by extra straps, both NATO-style. One is in brown leather with a distressed finish, and the other is an Admiralty grey jacquard-weave band made the traditional way in France. 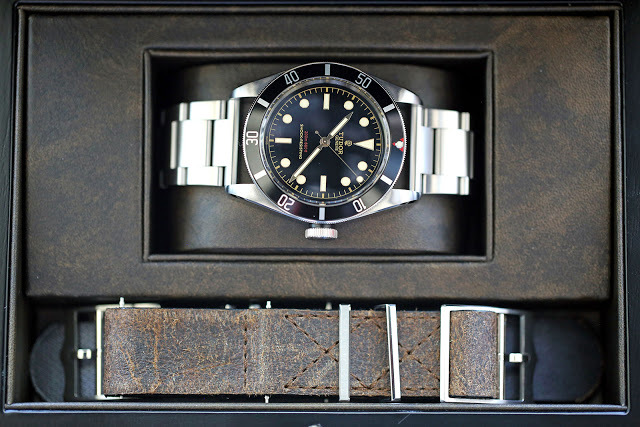 And the Black Bay One is also packaged in a special box. Similar in size to the usual Tudor Box, but made of wood with a brass plate on the top. 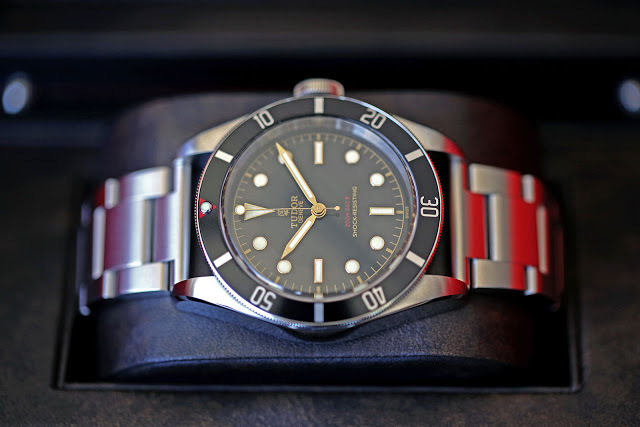 The rest of the Black Bay One is identical to the regular production model: 41mm steel case with an ETA 2824 inside. It will be sold alongside 42 other one of a kind timepieces on November 7, 2015, at Only Watch in Geneva under the aegis of Phillips auctioneers.